When Steven moved from the birthplace of the medical marijuana community of San Francisco to New York City, he went from a city awash in cannabis history to a city in need of cannabis education. San Francisco in 1996 passed Proposition 215 which legalized medical marijuana for cancer patients undergoing chemotherapy and AIDS patients in need of medicine to help them regain their appetite and to help alleviate the effects of the pharmaceuticals they had to take. Only recently New York city watched from the other coast, and became the in July 2014, New York Governor Andrew Cuomo signed the Compassionate Care Act which permitted the use of non-smokable cannabis for medical purposes. The first dispensary in New York city Columbia Care opened last January 2016. From the QuadDeuceNil mission statement: QuadDeuceNil: FourTwoZero was created as a way to bring that positive culture where ever I go. The purpose is to help spread knowledge, educate, change misperceptions, and spread the love for cannabis, with the hopes of forging an educated community and open culture. We are honored to have Steven here on AACE and proud of his work in educating the east coast about cannabis and it's benefits. What spurred you to enter the cannabis market? My personal experience with my family is one of the most influential factors for my entry into the Cannabis market. As a first generation Chinese/Vietnamese American whose parents immigrated to the US, I experienced a strict, traditional upbringing with zero-tolerance towards Cannabis. Fortunately, my curiosity got the best of me. While researching Cannabis to further educate myself and my family, I peeled back the layers of misconception ingrained by society. I discovered the amazing potential of Cannabis and became inspired by stories of social injustice and prevented access to its medicinal properties. I was further motivated when I moved from the Cannabis friendly city of San Francisco to an intolerant New York City. It was at this point that I decided to create QuadDeuceNil and use it as a platform for myself and others to educate and spread awareness, both at home and throughout our communities. I've always loved and collected Cannabis themed shirts, so the next logical step for me was to create apparel and accessories for others just as passionate as myself to display their love and support for the culture and the movement. What is your favorite strain and your favorite way of ingesting? My favorite strain is Jack Herer because of its distinct, piney smell accompanied by it's cerebral, sativa high. I might also be biased because I had the chance to meet and smoke with the man himself in 2009 attending Ed Rosenthal's Wonder's of Cannabis at Golden Gate Park in San Francisco. How did you come out of the 'green closet" with your parents? My experience with coming out of the "green closet" is remembered as two separate events. The first time I consider premature because it was involuntary. My mom found Cannabis in my room for the first time back in high school and that was it. 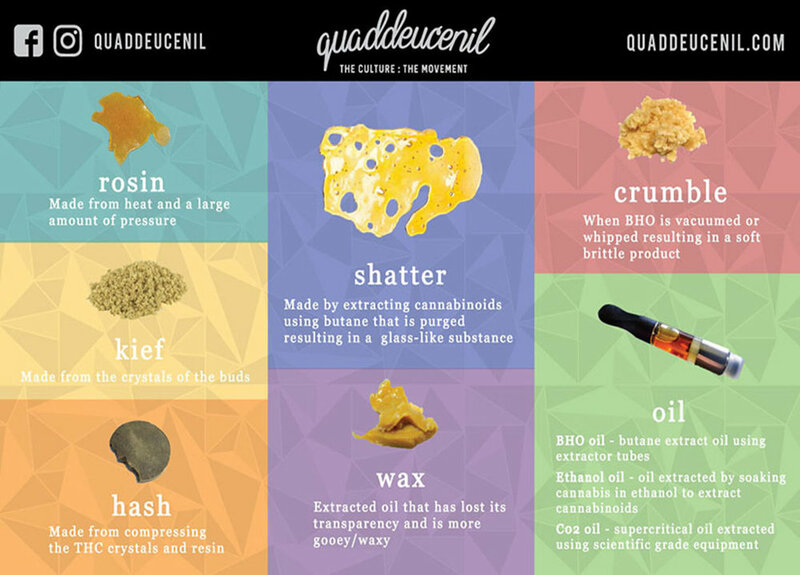 The second time was when I told my family about starting my Cannabis lifestyle brand and the meaning behind the name, QuadDeuceNil. Sharing and explaining the brand is special because it was a clear statement that I'm in the industry and I'm here to stay. We even sold our first order of shirts out of my backpack with my mom at the Brooklyn Smorgasborg, on 4/20!